A community art day and resource fair was held on Saturday, September 14, 2013, to work towards the unification and beautification of a local community. The event took place at Oswald Park, 2220 NW 21st Ave, Fort Lauderdale, FL 33311. 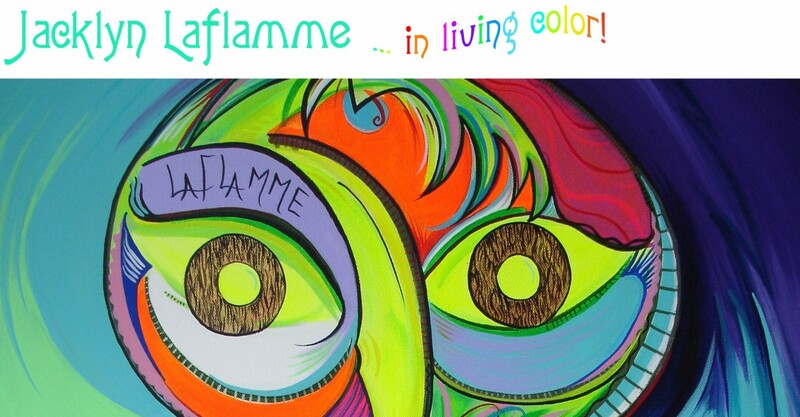 Residents from the community and all of South Florida were invited to work with the artist to paint two murals and share in the creation of the art to renew the face of their community. As part of the event, and spearheaded by Broward 211 a resource fair was also planned, designed to connect the community with resources and information about cultural organizations, social services and businesses that are available to Broward County residents. The day included live entertainment, food trucks and a kid zone. 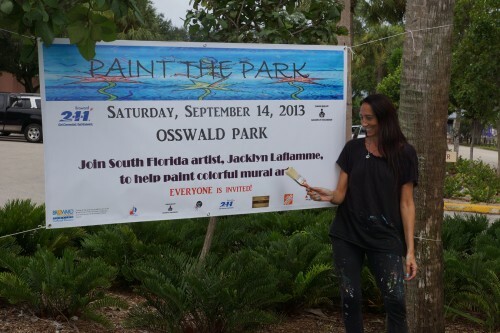 A Community Night served as a kickoff to the Paint the Park event and took place on Thursday, August 8, 2013 from 6:00 pm – 8:00 pm at Osswald Park. The night included an exhibition of children’s artwork from The Paint the Park Student Art Contest. Children from grades 6 -12, were invited to create a piece of art depicting images that they would like to see as part of the final designs for the two murals. The evening also included a talent show, food, music, raffles, and a great opportunity to find out how to be a part of the fun at the Paint the Park event. One of the goals of this project was to involve different people who may not encounter each other in their daily lives, including those with different socio-economic backgrounds, various age groups and ethnicities to network together – their common ground being ties to this community. As well as to engage these residents to come together to share their stories, history and be involved to help beautify, connect, and revitalize this municipality. The direct participation with input by the residents who live and work in the area, to create the art works, has encouraged neighborhood cohesiveness, replaced blight with beauty and has instilled a sense of pride in the community. The Resource Fair helped to bring awareness to the residents about the arts, cultural and social resources that are available in Broward County, It provided a chance for these organizations and businesses to network, bridge together and find creative ways to support one another and the community, fulfilling another goal of the project. This community is part of 33311, the most under served zip code in the State of Florida. The area was in need of revitalization and unifying. 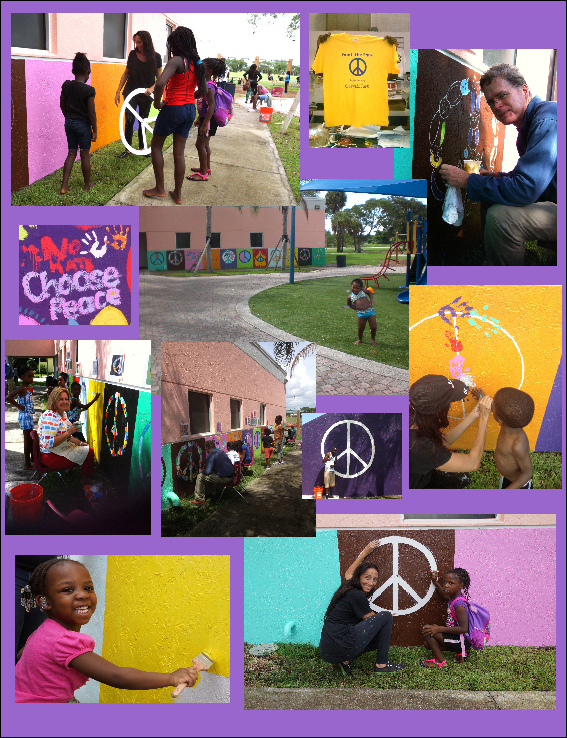 The Paint The Park Event was a huge success and fulfilled it’s goals of bringing the community together to paint the murals and to be educated about the arts, cultural events, social services and business resources that are available in Broward County. 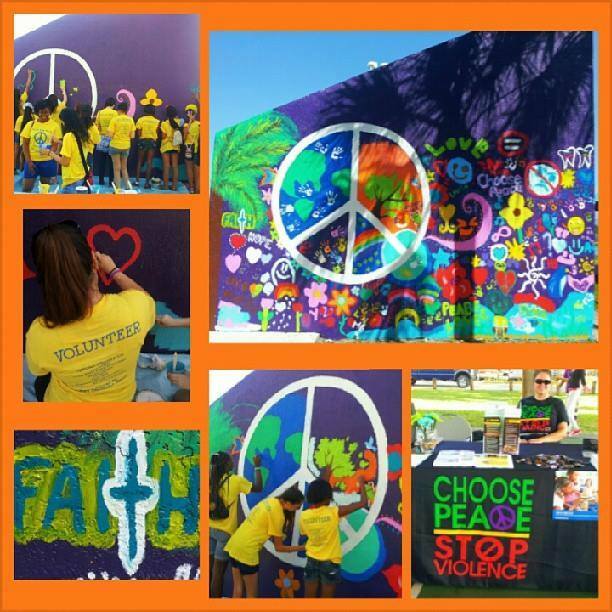 The two murals featured a theme with a message to Stomp Out Violence and Choose Peace! The Broward Cultural Division awarded me an individual artist’s grant from the Creative Investment Program (CIP) to help fund this project.